ANDOVER, MN, February 21, 2019 /24-7PressRelease/ — Jon Smith Subs, a nationally recognized restaurant chain known for delicious hot, grilled subs featuring high-quality marinated sirloin steak and chicken, has come to Andover, MN. The restaurant, located at 15190 Bluebird St NW, Suite 107, offers freshly prepared subs, sandwiches, and award-winning crispy fries that have been a hallmark of the franchise for nearly 30 years. “We have always wanted to give back to the community of Andover. We feel that the quality of the food will definitely make our guests happy and want to come back. The flexibility and support we have received from the brand reassure us that Jon Smith Subs is the right franchise for us and we are honored to be part of it,” said franchise owners Richard and Katie Schroeder. Jon Smith Subs, a member of United Franchise Group’s affiliated companies and brands, has witnessed expansion throughout the country and now has locations in Florida, Nevada, Ohio, Texas, and Virginia, with more than a dozen upcoming openings across the U.S. On the international front, a location in Hammersmith, England opened in late 2018 and expansion is expected in Panama, Portugal and Australia. The new 1660-square-foot sub shop in Andover seats up to 26 people and is open Monday thru Thursday from 10:30 a.m. to 9:00 p.m., Friday and Saturday from 10:30 a.m. to 10:00 p.m., and Sunday from 11:00 a.m. to 8:00 p.m. For more information about Jon Smith Subs, visit www.jonsmithsubs.com. 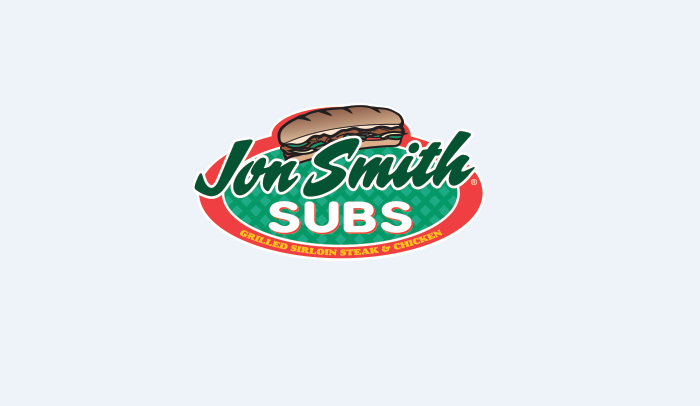 The first Jon Smith sub shop opened in 1988 in Palm Beach County, FL with a commitment to serving the absolute highest-quality overstuffed, marinated grilled sirloin steak and real chicken breast subs. Jon Smith Subs has locations in South and Central Florida as well as Ohio, Nevada, Texas, and California – soon in Australia. Jon Smith Subs specializes in freshness, preparing all the ingredients for every sub on-site daily. Its sirloin steak and chicken breast subs are trimmed, sliced, seasoned, marinated, and grilled to order, various catering options are available, and its Plenti-Full Sub platters come as individually wrapped four-inch and six-inch subs. *After purchase, the first 50 customers in line will receive a coupon good for one free 6-inch sub per month for 12 months. This offer is valid after 2/28/19 limited one coupon per visit. Led by CEO Ray Titus, United Franchise Group is home to a variety of internationally recognized brands including Signarama, Fully Promoted, Experimax, Jon Smith Subs, Venture X, SuperGreen Solutions, Transworld Business Advisors, Network Lead Exchange and The Great Greek Mediterranean Grill. With over three decades in the franchising industry and more than 1600 franchisees throughout the world, United Franchise Group offers unprecedented leadership and solid business opportunities for entrepreneurs.